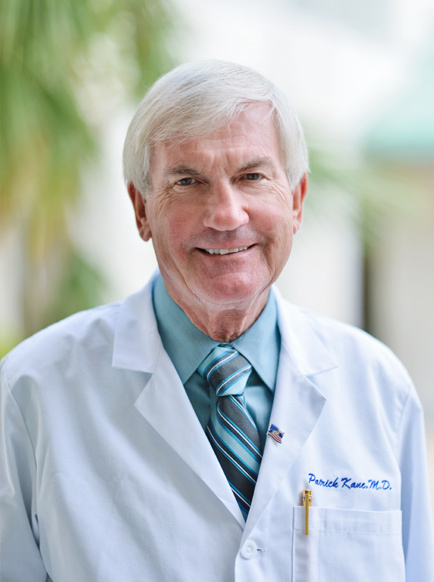 Dr. Patrick Kane is licensed by the state of Florida, certified by the American Board of Otolaryngology, and a member of the American Academy of Otolaryngology. He was selected by his peers as one of the best doctors in America. He is committed to offering the best possible solutions for medical and surgical treatment related to conditions of the ear, nose, throat, head and neck. Dr. Kane enjoys helping patients be healthy and strives to provide the very best medical care. He completed his residency at Medical College of Wisconsin Affiliated Hospitals. Dr. Kane earned his medical degree at Medical College of Wisconsin, and was rewarded with membership in the medical academic honor society, Alpha Omega Alpha. His undergraduate degree was earned at Drake University where he also graduated with academic honors. Learn more about Dr. Patrick Kane.